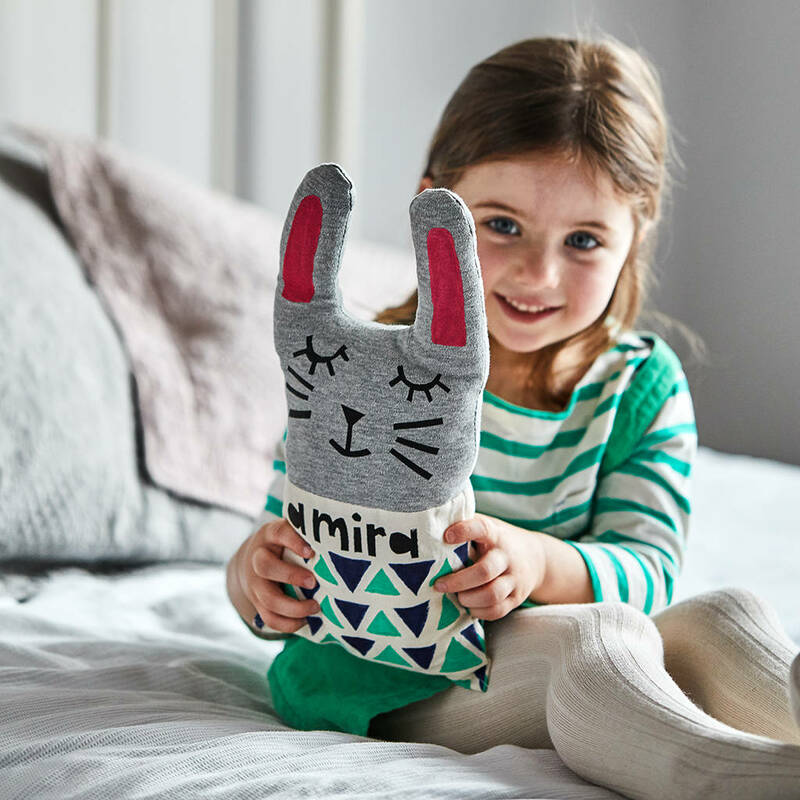 Easter Rabbit Cushion - Personalised. 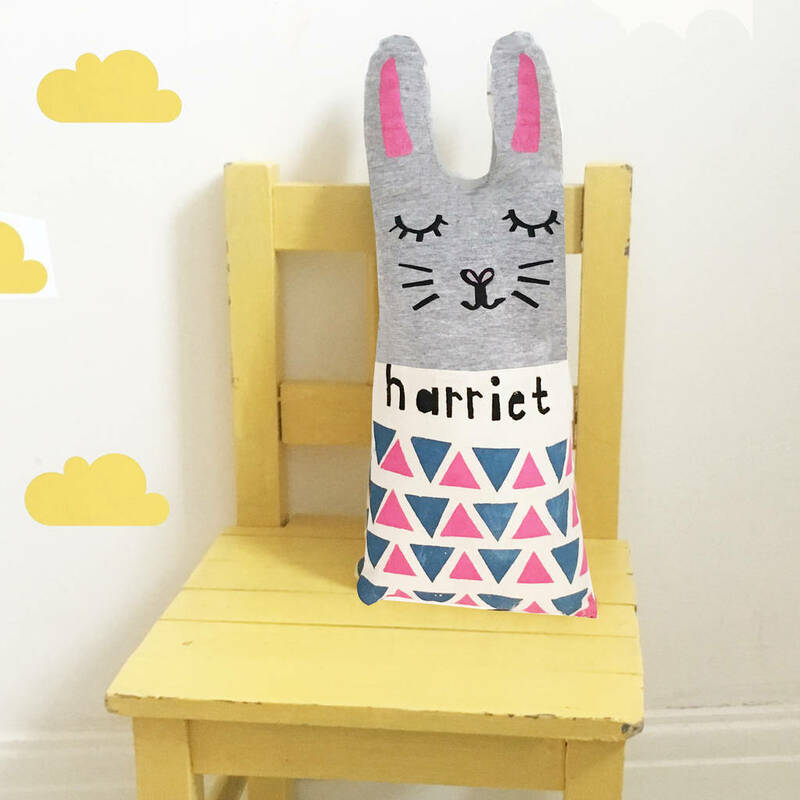 A funky handprinted children's easter cushion. A perfect girl or boy easter present. Personalise with your own name running along the top of rabbit all lettering will be lowercase unless otherwise specified (please message me if you would like capital letters). This cushion is cut and sewn around the shape of the rabbit. Please note if the name is long it may look best running along the bottom of the rabbit. All handprinted and handmade by us in the UK. Every one is unique and special. Great for nursery, children's and even grown up's room. 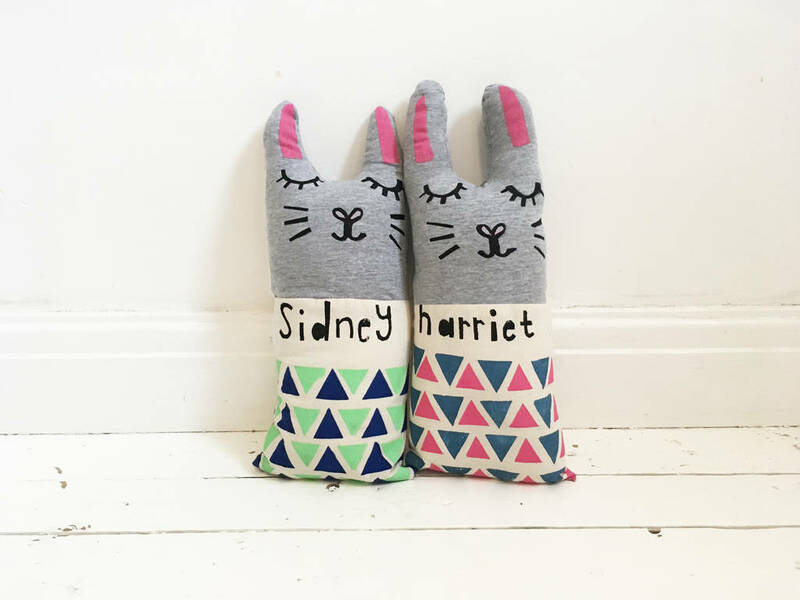 Great for girl's christmas present, even adults love them! A fab girls easter present. Personalise your own with your own name. 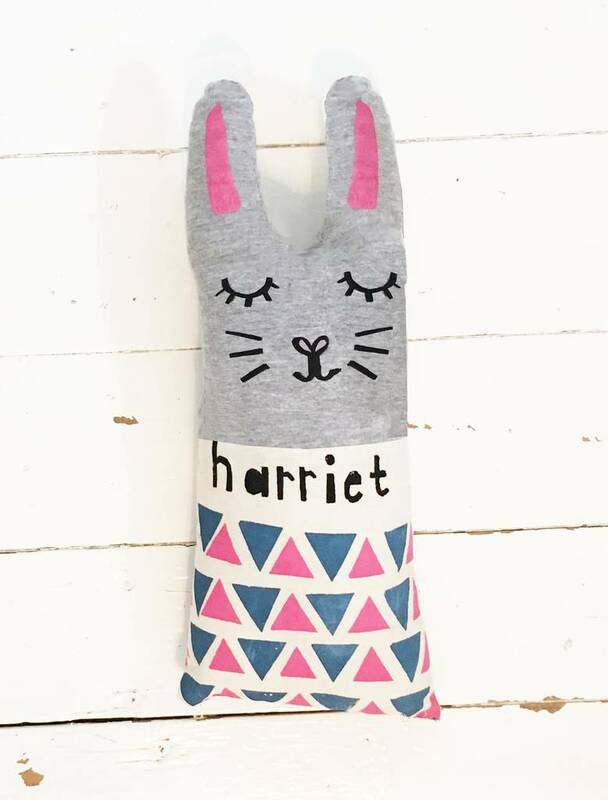 Rabbits head and ears is made from grey marl jersey, the base has personalised name printed on it with either a pink and blue or green and navy blue triangle pattern design. 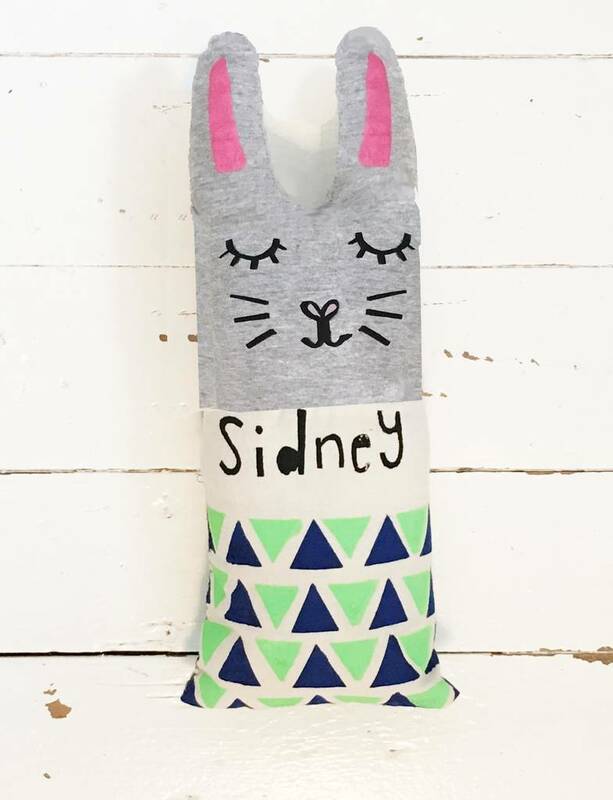 More personalised children's animal cushion designs are available, such as guinea pig's, gorilla's and lion's all in bow tie and top hats and a dog in a printed floral coat. If you spend over £30 with 'Little dandies' in one transaction, you will receive free delivery to the UK. Everything is screen printed in the UK using water based ink, keep your cushion looking good, wash at 30 degrees. This products complies with the relevant requirements of the furniture and furnishings (Fire & Safety ) Regulation 1988.